A meeting of Strategic Integrated Project (SIP) 15, the communications technology component of the Presidential Infrastructure Coordinating Commission, took place on Thursday, with communications minister Yunus Carrim urging government to “move with speed” to ensure broadband goals are achieved. In a media statement, the department of communications says it has been consulting within government and state-owned companies on finalising an implementation plan and has provided more details about how it intends implementing government’s broadband strategy. The SIP 15 meeting involved representatives from the three spheres of government and the state-owned companies and was meant to take the plan further. On 4 December 2013, cabinet adopted SA Connect, the country’s broadband policy and strategy, and since then has connected 788 schools to fast Internet through cyber labs, launched the iKamva National e-Skills Institute and the National Broadband Advisory Council, the department says. 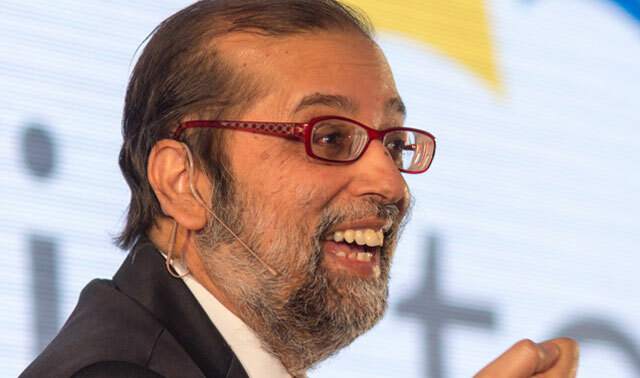 The broadband council is made up of local and international technical experts and representatives of business, trade unions and civil society to advise Carrim on the implementation of SA Connect. The department of communications has been working with provinces, municipalities, the South African Local Government Association and the cooperative governance & traditional affairs department on this. A broadband steering committee and five task teams consisting of different government stakeholders are looking to speed up the finalisation of an implementation plan, the department says. A broadband governance structure has been established in consultation with government departments and state agencies. The broadband steering committee will provide oversight of the implementation plan development process and will work closely with the broadband advisory council. An intergovernmental project team has been established on the rationalisation of state-owned enterprises. User requirements specification for schools, health facilities and public facilities are being finalised in conjunction with the relevant departments. The specification will be used in the broadband network planning to specify current and future requirements by various government departments. A detailed implementation plan for the digital development strategy has been developed. Due to the interdependencies between activities in the various prongs of the SA Connect strategy, work is underway on several projects to remove the bottlenecks. This includes the development of a rapid deployment policy, spectrum policy directions on broadband spectrum and a wholesale open-access network approach.